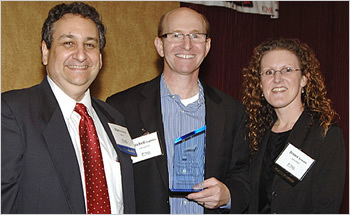 The Philadelphia Chapter of the American Marketing Association presented the email-marketing agency FulcrumTech with the 2013 Marketer of the Year Award in two categories — Business to Business and Pharma/Medical. Doylestown, PA — The Philadelphia Chapter of the American Marketing Association (PAMA) named the email-marketing agency FulcrumTech, LLC 2013 Marketer of the Year in two categories — Business to Business and Pharma/Medical. 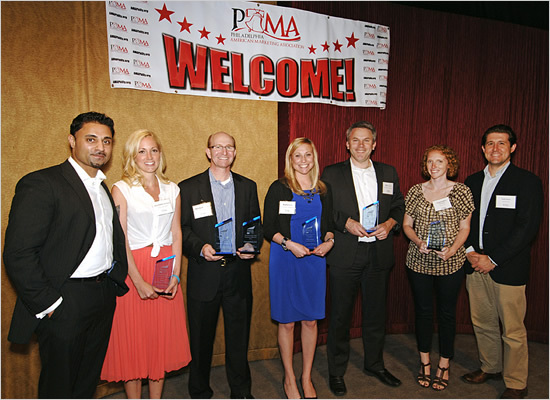 The awards were presented to FulcrumTech at PAMA’s 2013 Marketer of the Year Award event held on May 20, 2013. The Philadelphia Marketer of the Year Awards Program is open to marketers across the Philadelphia region. Judging was completed anonymously by a distinguished panel of senior marketing executives assembled by PAMA. Judging criteria included the quality of the solution to accomplish the client’s marketing objectives, as well as the quality and measurable results of the experience and interaction with the target audience. FulcrumTech’s winning entry was for the design and optimization of the 2012 holiday email-marketing campaign for Philadelphia-based Wolters Kluwer Health — a leading provider of information for professionals and students in medicine, nursing, and health professions, including pharmacy. For this client, FulcrumTech developed a complex email test plan to measure the impact of different timing for sending emails, email design, and other elements such as subject lines and calls to action. Compared to Wolters Kluwer’s previous holiday campaign results, the 2012 holiday email campaign designed and optimized by FulcrumTech increased email open rates by 62% and total sales by 87%, while achieving an overall 186% return on investment. Based in Doylestown, PA, FulcrumTech, LLC, is an email-marketing agency that provides strategic guidance to design, develop, and implement comprehensive online-marketing programs. Each of FulcrumTech’s client engagements is tailor-made to accurately communicate the marketing message that best reaches the customer base. FulcrumTech was founded in 2004 by Mitch Lapides, a senior interactive-product executive with more than 20 years of experience in strategic planning, marketing, IT management, software product development, and content licensing and product management. For more information about FulcrumTech, visit www.fulcrumtech.net.